My brand new enamel necklaces are now available for sale in my etsy shop in five different styles. More styles and color combos coming soon. Tiny Drop Necklaces - Beautiful in two tones on a shorter 16" sterling chain. Tiny Holes Long Teardrop Necklaces - Fun single color necklace with four holes on a slightly longer 18" sterling chain. 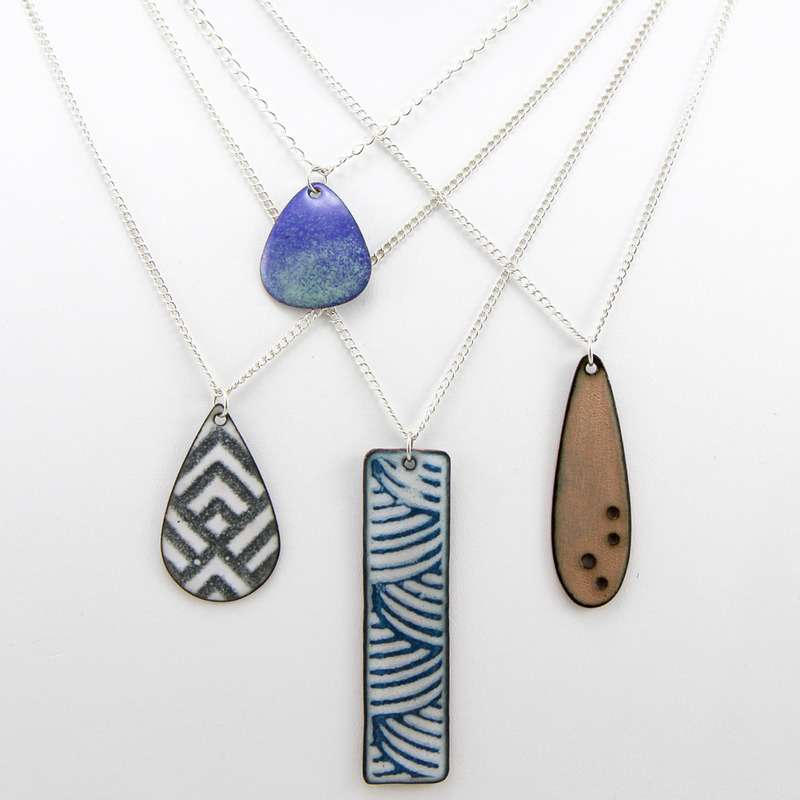 Screen Printed Pattern Necklaces - In two fun shapes, a long rectangle and teardrop printed with geometric and curve patterns on a longer 22" sterling chain.